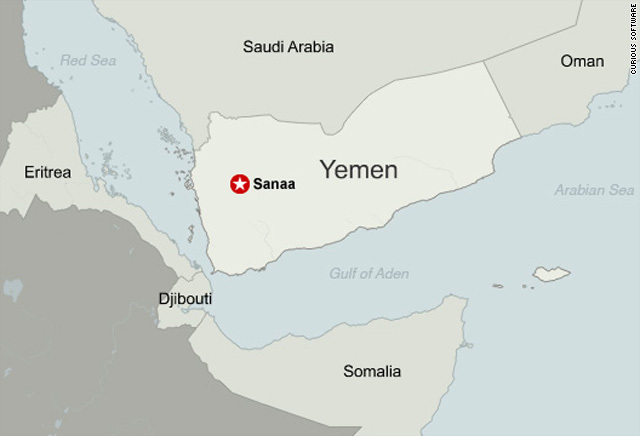 (CNN) -- Yemen, a rugged, poor country on the southern Arabian Peninsula, is emerging as a key theater in the international fight against terrorism. France on Monday became the latest Western power to close a diplomatic post in Yemen, as al Qaeda in the Arabian Peninsula threatened attacks on Western interests. Despite concerns over the volatile country, the U.S. embassy in Yemen will reopen on Tuesday, a senior State Department official says. The United States and Britain closed their embassies Sunday over security concerns. U.S. officials have said that the suspect in the Christmas Day attempt to blow up a Northwest Airlines flight over Detroit got training at a camp in Yemen. And Gen. David Petraeus visited the country on Saturday to offer President Ali Abdullah Saleh continued U.S. support in rooting out the terrorist cells. "We are very concerned about al Qaeda's continued growth there," White House counterterrorism adviser John Brennan said. Yemen offers fertile territory for terrorists to hide and recruit, and it threatens to take on increasing importance with any success Western powers have in fighting al Qaeda elsewhere, including along the Pakistan-Afghanistan border, government officials and analysts say. "The weakness of al Qaeda in Pakistan has forced them out of Pakistan and into Yemen and Somalia," British Prime Minister Gordon Brown told a BBC interviewer over the weekend. As they move into Yemen, terrorists find a nation with dwindling economic fortunes -- oil output will drop to zero in seven years, according to one estimate; a rapidly growing population with rampant unemployment; and limited fresh water to support that growing population. "This confluence of political, ideological, economic and environmental forces will render Yemen a fertile ground for the training and recruitment of Islamic militants for the foreseeable future," foreign policy analysts Andrew Exum and Richard Fontaine wrote in a November policy paper for the Center for a New American Security, a Washington think tank that promotes American interests in the area of security. Concerns about a growing al Qaeda presence have become more acute with the declining security situation in Yemen. A senior U.S. official cited a rebellion by Huti tribes in the north, and secessionist activity in the southern tribal areas. Analysts agree that Yemen's future is troubled. "Yemen is a failing state. It's not yet a failed state. You have a collapsed economy. You have multiple political, ideological and tribal fault lines that are pushing the country to all-out war," said Fawaz Gerges, professor of Mideast politics at the London School of Economics. Yemen's geography doesn't help. Poor infrastructure makes it difficult to get around. The country's long and largely unsecure border with Saudi Arabia eases travel for militants. It's a short water journey from Somalia, another al Qaeda safe haven, and extremist elements in Sudan and Egypt. And even with U.S. security aid -- Washington will send tens of millions of dollars to Yemen this year -- the government is ill-equipped to wage a long battle with al Qaeda. "It's a country ideally suited to guerrilla warfare. ... A lot of things are already being done, but the problem is one of capacity. It's not a question necessarily of lack of willingness by the Yemeni government," said CNN national security analyst Peter Bergen. Yemen-based militants have a decades-long history. According to the Council on Foreign Relations, thousands of Yemenis joined Islamic forces that fought the Soviet Union in Afghanistan in the 1980s. It was from those forces that al Qaeda drew its first recruits. And Yemenis made up one of the largest groups of prisoners at the U.S. detention facility at Guantanamo Bay, Cuba. Yemeni militants linked to al Qaeda successfully attacked the guided-missile destroyer USS Cole in Aden harbor in 2000, killing 17 U.S. sailors and wounding 39 others. Numerous other incidents in succeeding years were of smaller scale, and the Yemeni government enjoyed some success in arresting militants. But al Qaeda in Yemen has enjoyed a resurgence in the latter half of the past decade, Exum and Fontaine write, as its operation has become more sophisticated, including using an online journal to distribute strategies and Web-based message boards to recruit members worldwide. Al Qaeda's "growing information operations capability suggest a rising degree of sophistication, and its rhetoric -- which no longer limits itself to ambitions within Yemen itself -- suggests it will become an increasing threat to the United States and its interests in the Arabian Peninsula," Exum and Fontaine wrote in their November policy paper. Which is why Petraeus was there on the weekend. "Gen. Petraeus was in Yemen today as part of our ongoing consultations with and efforts in support of Yemen," a senior U.S. administration official said. "We have made Yemen a priority over the course of this year, and this is the latest in that effort."